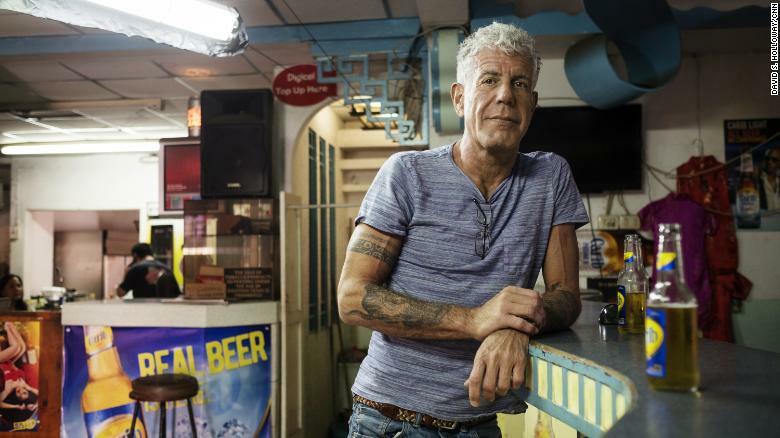 So Why Did World CNN's Anthony Bourdain Commit Suicide? Get Some Highlight! He was a man of great talent whose passion for cuisine,good food and culture were fulfilled through his media profession on the world CNN. Anthony Bourdain was so loved in person,in great voice and in his giant talent through his unique TV presentation. 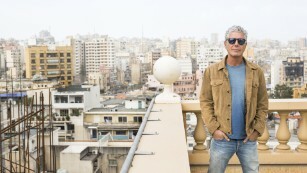 His style of presentation on cuisine and culture which had made him travel around the would meeting both rich and poor enjoying and experiencing the same food and culture with all and sundry has made Anthony dearly loved. His career as a television presenter could be described as a fulfilled one. Anthony had a lovely wife and a daughter,he also had lovely friends and fans all around the world. He never looked he was frustrated in life and at 61,Anthony still looked very fresh and young forever! So,why did world CNN's Anthony commit suicide? Frustration! That is the only thing that could make anyone think of ending his bitter life stupidly. In what way was Anthony frustrated in life? He achieved his greatest dreams of being on air personality,touching the world and various lives of peoples through the act of writing and presentation and he got it all! 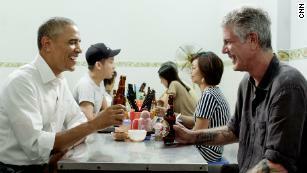 "'Low plastic stool, cheap but delicious noodles, cold Hanoi beer.' This is how I'll remember Tony.'' "He taught us about food -- but more importantly, about its ability to bring us together. To make us a little less afraid of the unknown. We'll miss him'' says the former US President Barack Obama on his Twitter page. From the government finding,suicide has become one of the greatest problems in US. According to US Centers for Disease Control and Prevention,suicide rates has increased by 25% across the country over nearly two decades ending in 2016. It was also stated that twenty five states experienced a rise in suicide by more than 30%. From inside news,Anthony's death came few days after fashioner designer Kate Spade died in suicide at her Manhattan apartment. "If I'm an advocate for anything, it's to move. As far as you can, as much as you can. Across the ocean, or simply across the river. Walk in someone else's shoes or at least eat their food.'' That was one of the biggest quotes of Anthony Bourdain!! !